Bangalore: Along with luxury and comfort, the Indian car lovers also think much about the maintenance and efficiency of their cars. And with fuel prices going so high, the car lovers have started getting hard time in deciding the most suitable car for them. Nowadays, diesel cars are getting as much popularity as the petrol cars used to get, few years back. Even the car makers are also focusing on the diesel engines to keep them updated among the car lovers. Here is the list of 10 best diesel cars in India as listed by Rediff. Tata is one of the favourite car manufacturers in India and when Tata cars offer a mileage of 20 kmpl in the city and 25 kmpl on the highways, anyone can get attracted. Tata Indica is one of the most common diesel cars on Indian roads and the Indica eV2 is one of the most loved cars from the Indica series. Starting from 4,20,000, this diesel hatchback comes in four different types. Tata Indica eV2 LX is the top version in this list and it comes for 5,11,000. Chevrolet Beat is considered as one of the most fuel efficient cars on Indian roads. It also has some features; ABS and airbags and many more, that makes it one of the safest cars. The base price of Chevrolet Beat is 4,51,000 and the top variant has a price tag of 5,69,000. Beat has a 936cc diesel engine that can produce 62.5 PS of power and offer a mileage of 25.44 kmpl. Tata Indica Vista offers two different ranges to its admirers. The BSIII models comes within the range of 4,56,000-5,06,000 and the BDIV models comes within the range of 5,09,000-6,40,000. It is one of those idlest cars on the Indian roads that offer 22.3 kmpl with a tremendous power delivered by the 1.3L engine. This hatchback can also be considered as one of the trendiest cars for long drives, designed especially for the Indian roads. It comes with 2-DIN music system that has added features like FM, MP3, CD playback with USB option. Ford Figo comes with a 1.4L Duratorq engine that has the capability to produce 69 PS of power at 4000 rpm. The torque produced by Figo’s engine can reach up to 160 Nm at 2000 rpm. Even though it looks smaller from outside, space is not a problem inside the Figo. With ABS, Bluetooth connectivity, airbags, call swap and SMS notifications, Figo offers a mileage of 14.8 kmpl in the city and 19.7 kmpl on the highways. 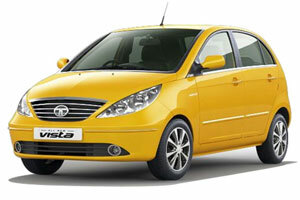 Once again, Tata tops this list with its Indigo eCS, which offers features like ABS and keyless entry. The braking system as well as the handling of this hatchback has been modified as compared to the previous version of Indigo. It comes in two variants; Indigo eCS LE TDi and Indigo eVX. The first variant comes within a tag of 4,89,000 while the later comes for 6,14,000. Talking about mileage, which is one of the best factors of the eCS; it offers 25 kmpl. Mahindra Verito is available in two variants; 1.4L and 1.5L. It is also available in both petrol and diesel versions. Both the versions of this sedan come with a 5-speed manual transmission. The diesel version of Verito has the 1.4L engine that offers a mileage of 13.8 kmpl in the city, while on the highways, the mileage can reach up to 19.2 kmpl. The engine is configured with SOHC technology which enables a proper simulation of the sedan’s performance. It comes with a price tag of 5,94,000-6,76,000. Maruti is the most loved car manufacturer in India and so is its Maruti Swift Dzire. With a price tag of 5,99,000-7,34,000, Swift Dzire has already topped the list of one of the best cars on the Indian roads. Dzire has a DDiS diesel engine that holds the capability of producing 1248cc displacement with 75 PS of power and 190 Nm at 2000 rpm. It has also been called as one of the safest diesel cars in India. Dzire’s ABS, EBD, safety features and a mileage of 19.3-23.5 kmpl has been highly appreciated by the critics. Premier Rio comes within a range of 510,000-587,000. This SUV comes with power packed engine of 1489cc and can deliver a power of 64.8 PS at 4000 rpm. The amount of torque can reach up to 152 Nm within the range of 2550-3000 rpm. Premier Rio’s mileage is considered as one of the decent mileage offered by a SUV on Indian roads. Inside the city, Rio can offer a mileage of 12 kmpl while on the highways; it can reach up to 16 kmpl. Ertiga is Maruti’s official entry into the utility segment of cars. 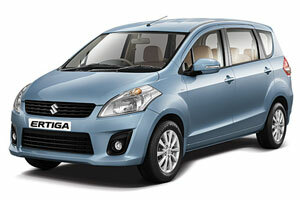 With the launch of Ertiga, Maruti has completed its grip on all the segments of cars in India. This LUV (Light Utility Vehicle) offers three rows of seats and has already been called as one of the best family cars in India. Ertiga offers multiple choices for its admirers; both diesel and petrol and comes within a price tag of 7,30,000-8,45,000. Ertiga is loaded with the K-series engine which has been considered as one of the most fuel efficient engines in India. With a 1.3L DDiS engine, Ertiga offers a mileage of 20.77 kmpl and 88.7bhp of power. After the success of the Sumo and the Sumo Victa, Tata came up with the Sumo Gold which comes in multiple variants and costs around 5,45,000-5,76,000. Sumo Gold is packed with a 3.0L diesel engine that can deliver a maximum power of 84 Bhp at 3000 rpm and a maximum torque of 250 Nm at 1600 rpm. The BSIII engine offers a mileage of 11-14.3 kmpl while the BSIV engine of Sumo Gold offers a mileage of 11.5-14.7 kmpl. Muscular looks, front and rear fog lamps, seat belt warning and engine immobilizer are some of the most attractive features of the Sumo Gold.